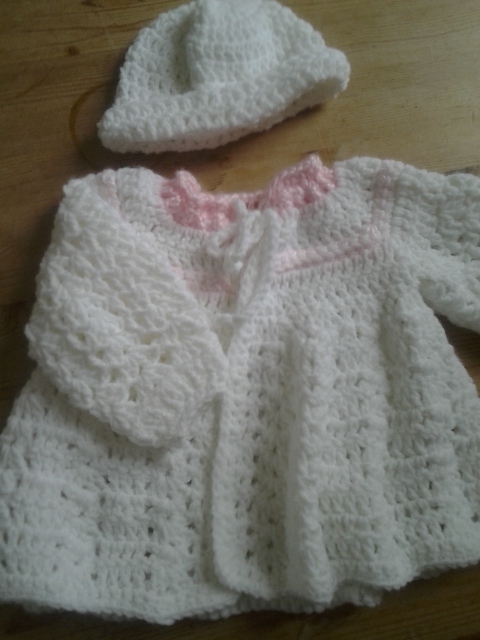 I crocheted this baby girl sweater for a friend to give as a gift. I modified the original free pattern by adding two rows of a silky pink yarn, using double strands. With just a bit of pink left over, I crocheted a row of one strand white combined with one strand pink to achieve a delicate, embroidered look.